Describing the difference between a ‘concert’ and an ‘experience’ is difficult. Those of you who have witnessed a musical ‘experience’ will know exactly how it feels. Kendrick Lamar’s opening concert of his European tour in Dublin was just that. There was rarely a moment the audience was not in awe or covered in goosebumps. From the start Kendrick connected with the crowd, thriving off their energy while providing an almost tangible buzz. The show itself seemed to be one living thing, a living organism with energy bouncing back and forth. The problem with bigger artists is that they feel they can just show up, play their set, say a few words and leave. Usually, this leaves you slightly annoyed but at the end of the day you saw what you came to see. Kendrick poured his heart and soul into his performance, meaning every word. The show was a phenomenal spectacle. For a music concert, the visuals were certainly impressive. Short video interludes between songs provided a little bit of entertainment. They consisted of Kendrick learning a form of martial arts playing into his ‘Kung-Fu Kenny’ persona. There was also stunning solo choreography performed behind Kendrick during songs, this was a mix of martial arts and dance, a combination you would not expect to work so well with hip-hop. Kendrick even appeared inside a cage within the crowd with a rising floor eventually elevating him to the top of the cage. Although so simple, this act of being within the crowd surrounded by his incredibly vocal fans is a gesture. It shows that he is grateful for his fans and wants to be surrounded by them. The concert itself went off without a hitch, bar one instance. There seemed to be mic difficulties during ‘PRIDE.’ Kendrick was performing a type of levitation illusion during the song where he appeared to be propping himself up on one arm on his side. While the performance was excellent and you could still hear waves of the lyrics, the low volume meant you could hear more of the crowd rather than Kendrick himself. Despite this stumble, it was overshadowed by his performance of ‘HUMBLE.’, or should I say the crowd’s rendition of it. Although Kenny began the song it was quickly hijacked by the crowd, one voice in unison taking over. This led to Kendrick stopping the music and letting the crowd continue, nodding in appreciation while guiding them. He then restarted the song where he stopped, the crowd only happy to perform alongside him. Kendrick performs to and with the crowd. He produces and feeds off energy present to create an atmosphere you will never forget. 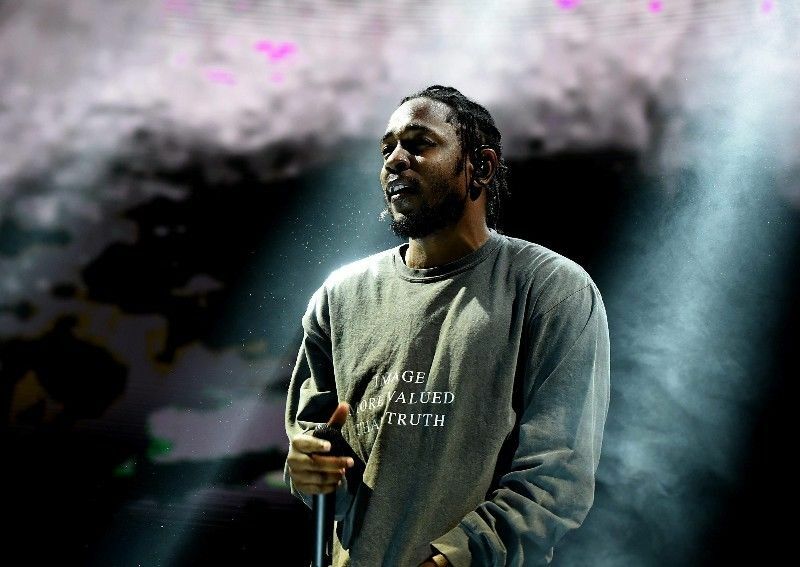 It was a fantastic experience for fans and for Kendrick. Though in the moment of stopping the music and listening to the crowd singing his lyrics almost impeccably in a deafening chorus, it must have been hard to be humble.